We stand on the cusp of changing how this world functions. The partial new moon solar eclipse on 15 February helps us along this path by breathing life into and accentuating our unique potentials, drawing them out of hiding and sparking the ignition that will propel us into their fulfilment. Through this time, we breathe life into the new story we are scripting about ourselves, and gaze in awe at the magic that animates our character, our Avatar, our re-envisioned selves. "We need a new wave of ecstatics in the modern world. The materialists need to be challenged. They need to be taken on. I don't wish them ill. I wish them to awaken, so that we can embrace each other, so that we can repair the world, so that we can all be unified in the Rapture." This is the time when the piercing diamond light of celestial fire cuts through our illusions and denials, and fuels the liberation of consciousness in the material world. The Sacred Rebels are called to inspired action as the energies of the eclipse and GAP Day create a more expansive space for humanity's new story to be etched upon the fabric of time, woven into the planetary grids and imprinted into the heart of GAIA. The more deeply you surrender and trust, the more expansive and evident the magic becomes. YOU are the magic wand, YOU are the fairy godmother, YOU are the magician, the dragon, the master. Which chapter of humanity's new story are you bringing to life? Join me and the Diamond Community for these new energetic alignments to facilitate your journey through this powerful month. As always, you are welcome to join our inspired community on a donation basis. 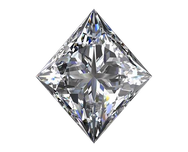 Please join us as together we join forces to amplify the diamond heart consciousness.